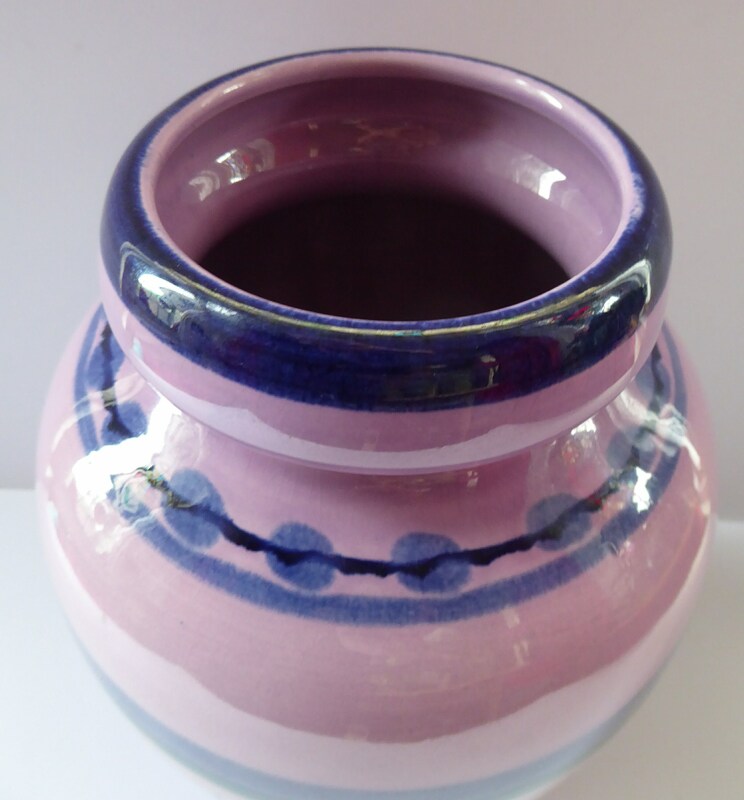 This is an attractive and more unusual piece of Dutch pottery dating from the 1960s or early 1970s. 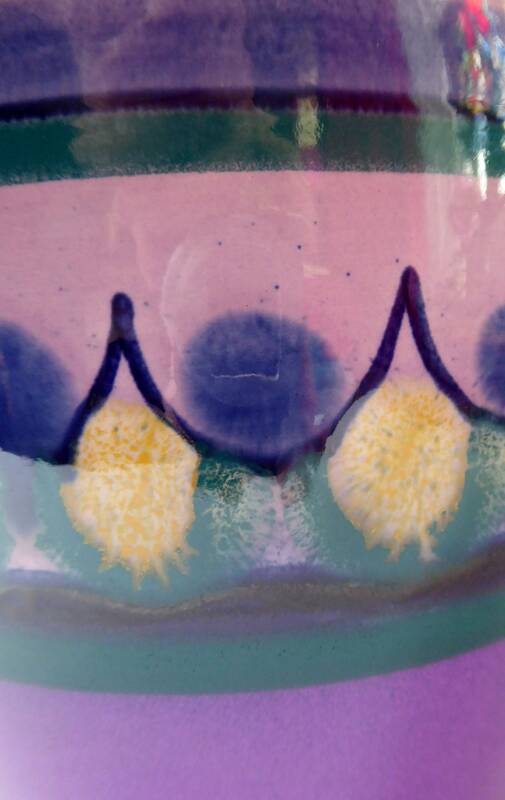 It is the second piece of fine purple toned Gouda in my Etsy store. 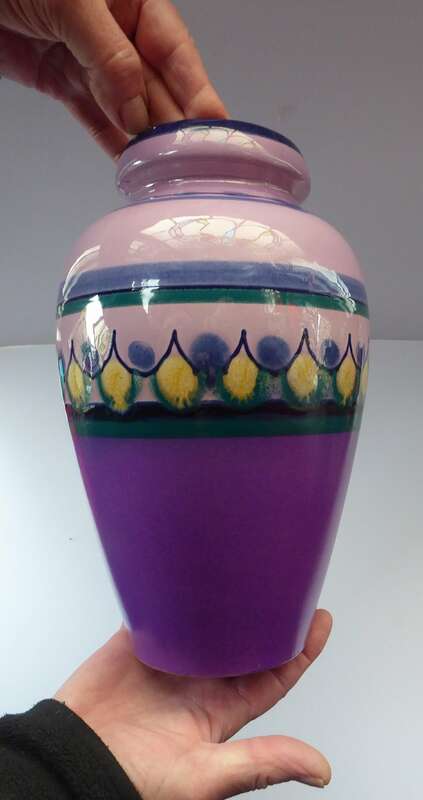 The vase was made by Gouda and is decorated with more unusual vibrant purple and lilac shades - with bands of blue and green around the neck - and further up linked blue spots. 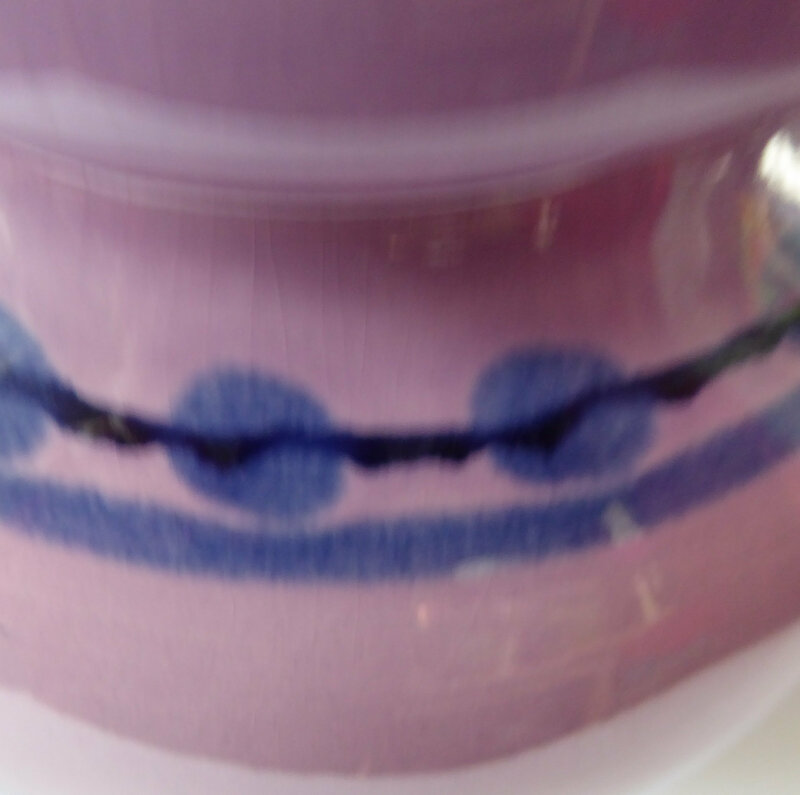 More spots which are contained within black looped lined appear just above the eggshell purple colour. 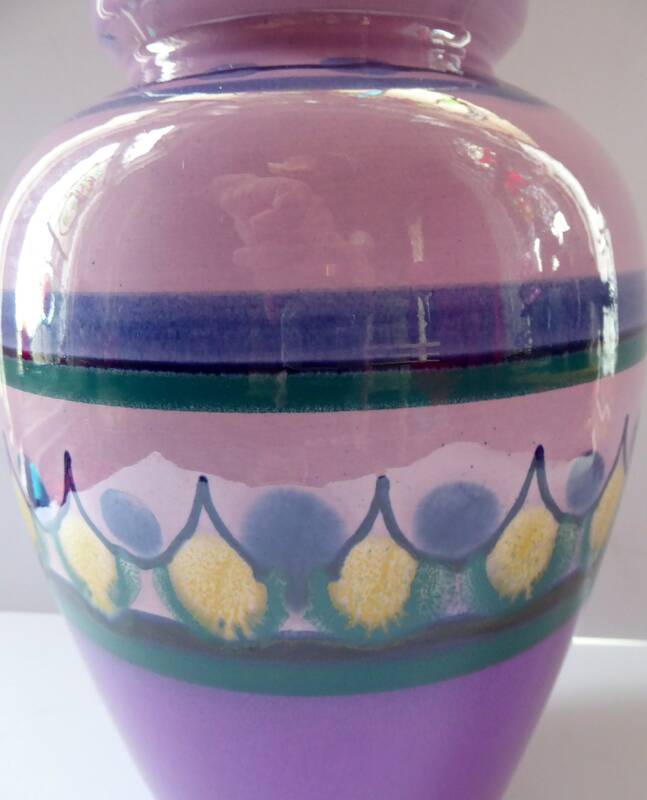 I just love this very tactile vase shape used here. 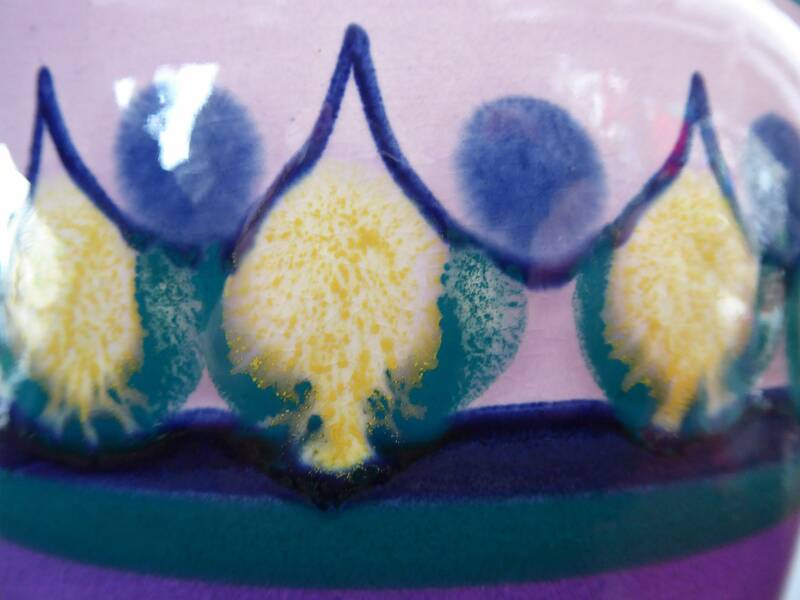 Flora Plateel pottery or "Plateelbakkerij Flora" was a Gouda pottery factory, which existed from 1945 to 1994. 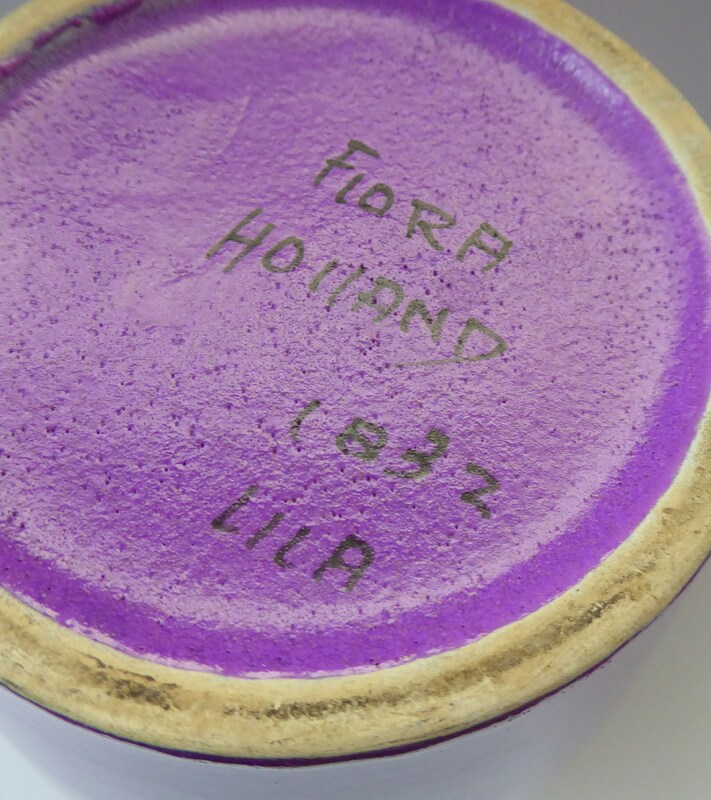 The pattern is called Lila, as inscribed on the base. 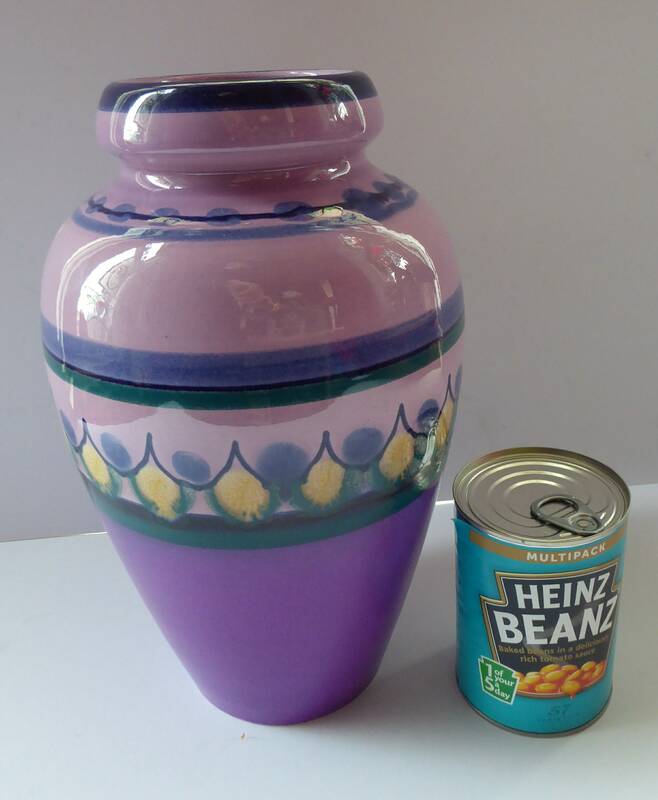 This is an exceptionally large example and measures 11 inches in height - and at its widest point it is just under 7 inches in diameter. 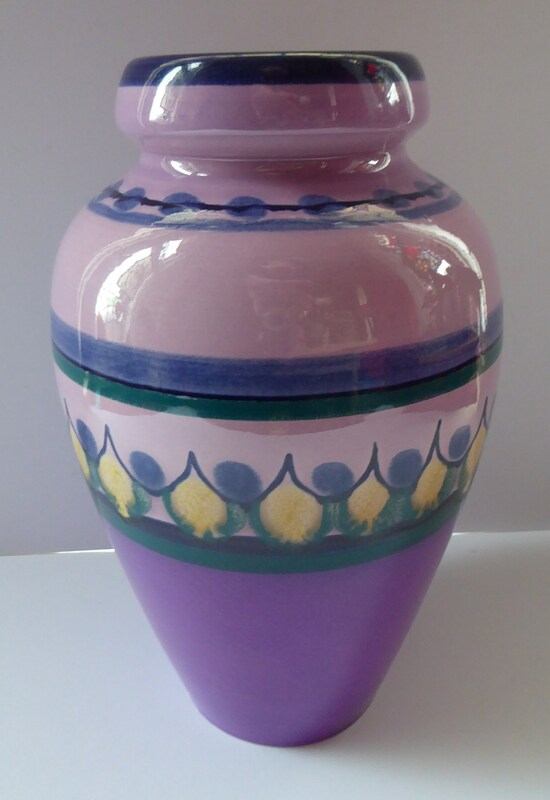 It is certainly a very lovely piece of vintage Netherlands pottery - and of course in excellent condition with no damages. Weight unpacked is 1.5 kg - so this will probably mean that I will have to post Parcelforce48 (which pushes up the postage on this a little bit). 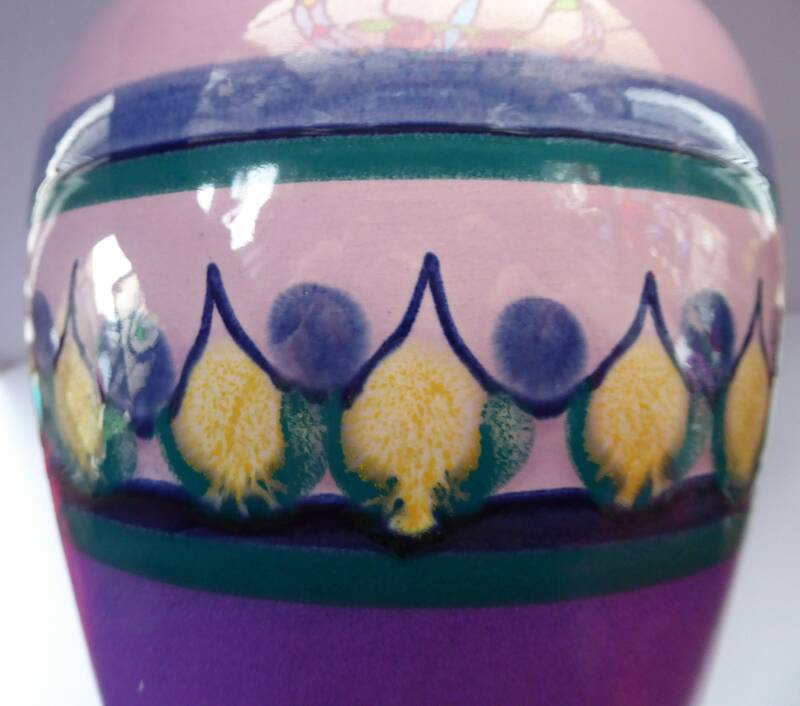 Sadly due to the weight and large size of this vase - I will not be able to post this one internationally - but can certainly send the smaller of the two in this pattern which is available in my Etsy shop.